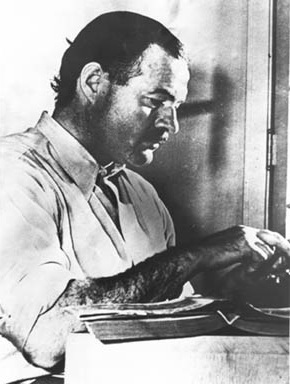 Whether Hemingway wrote it or not, it is rather haunting, don’t you think? When I stumbled across both it and the above-mentioned website, I couldn’t resist having a go myself. I had a feeling it was going to be hard, but I hadn’t anticipated just how hard. Give it a try yourself and you’ll see what I mean. Oh, it’s easy enough to sketch a scene in six words. If you’re clever you can spit out a gag or say something cute. But tell a story? That’s something else altogether. Here are a few of my attempts. Some are okay, others not so much. Could any of them legitimately be described as a story? I don’t know. Why don’t you tell me? And, while you’re at it, let’s see if you can do any better. Bridal veil lifts. It isn’t her. Lightning strikes graveyard. Defibrillation occurs. Run! Everyone exhales simultaneously. Hurricane breaks records. Stake mistake. The fangs are plastic. ‘I’ll apologies tomorrow.’ Final words spoken. Not easy at all! I keep hearing about flash fiction, but this is something else! A bit like the warm up sketches you have to do at life drawing classes (if you’ve ever done life drawing classes that is); capturing the form with the least amount of lines possible. I have indeed done life drawing and I like your analogy with the ‘lightning sketch’, Sean. I like your six words too. Success in this exercise lies in the sub-text, methinks. I concur. When I next feel a little sluggish for words, I think I might try this…warm up the grey matter. Sorry, but I’m of the opinion that you need at least ten words to tell a good story. It usually takes me ten thousand just to get going. Which probably betrays me as a sloppy thinker. Some of your six-word opuses are really quite clever; but I wouldn’t call any of them stories, per se. In fact, before you introduced this subject a while back, I wouldn’t have said a six-word story was possible. But I have to say, there’s something rather haunting about the one attributed to Hemingway. That really does tell a story — and manages to inject sadness and poignancy at the same time. What makes it a story is what’s between the words. I’m rather taken by it. A bit off-topic … but I just recently finished an excellent book on Hemingway by Kenneth S. Lynn. It’s a psychological study, impeccably researched, and as much about his writing as it is about his life. Highly recommended for anyone interested in the man and/or his work. Actually I agree. I don’t honestly think any of my efforts are genuine stories. They’re just one-liners really. It was fun trying though. I think the best you can hope for with this exercise is a kind of implied origami: six words wrapped up tight but with the suggestion that if you unfold them there’s something much bigger inside. Which the ‘baby shoes’ example does beautifully. Thanks for the book recommendation. I’ll try and seek out a copy. This is increasingly used on Britsh radio stations asking for either 3 word or 5 word stories and it really facinates me how just a few words, put into a sequence can evoke such ideas in the brain. We all understand that words often mean different things to different people so multiply that by number of words and the implications for ideas are endless. ‘Life starts, happens, then ends’ can constitute a biography in 5 words. Thanks Steve. I’m still not sure how convincing a narrative one can create with so few words, but it’s fun to try. And, yes, it’s an entertaining way to make sparks that might become fires in the future.